WE WELCOME YOU to THIS COMMUNITY OF FAITH. 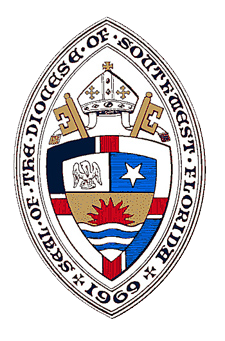 St. Catherine of Alexandria Episcopal Church is a parish in the Episcopal Diocese of Southwest Florida. We open our doors to all who seek God or a deeper knowledge of God. We are both Spiritual and Religious! We seek to find God at work in our daily lives as we worship together in the Anglican tradition. Worship is the center of our community’s life and the Eucharist is the center of our worship. 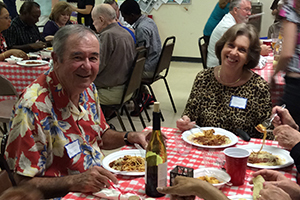 The people of St. Catherine’s are a diverse group, joined in a shared commitment to Jesus Christ. Through worship, music, spiritual formation for all ages, service, and fellowship, we are all striving to deepen our relationship with Christ and with one another. We encourage participation in small groups like supper club, book study groups, and educational offerings to build community. We have programs for children, youth, and adults, as well as parish-wide, inter-generational activities. We are an inclusive, welcoming community. We welcome all who are seeking. Come, share your questions, your understanding of and your passion for ministry. We welcome a wide variety of theological views and differing understandings of how we live out our faith in the world. Join us! 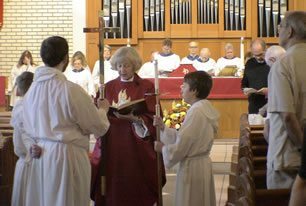 The mission of St. Catherine of Alexandria Episcopal Church is to nurture each other in the knowledge and love of God – Father, Son and Holy Spirit – and to share the Good News with all. St. Catherine’s offers groups and activities for all ages. We welcome you to join in! Worship renews us for living out our faith in the world. 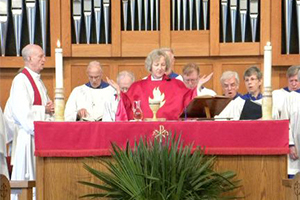 St. Catherine’s offers corporate worship 6 days a week. Our priests bring unique gifts to our parish. Become acquainted with them as they share a bit about their journey to St. Catherine’s. Join St. Catherine's Episcopal !